For skiers and snowboarders, flat light can be a nightmare. You get to the top of the mountain only to notice that there's strong cloud coverage and snow blowing around everywhere. Your visibility is compromised, and going down the mountain in such conditions can be extremely overwhelming. At it's best, it can make getting down the mountain slightly more difficult, and at it's worst, it can lead to falls and vertigo. Luckily, a good pair of goggles go a long way in making skiing in flat light manageable. Click any of the links to learn more about each goggle, or keep reading for the entire buyer's guide. The notorious skiing condition known as "flat light" refers to when everything on the mountain looks white. Not only can it make it extremely difficult to see features in the mountain, it can also make it hard to see very far in front of you. An overcast sky, which washes out the light from the sun. Heavy snowfall or winds carrying snow. While there's no way to fully reduce the lack of visibility that flat light causes, having the right pair of goggles can help bring forth some of the lacking detail. Colored lenses and wavelength filtering technology can add contrast to a completely white visual field. Goggles also serve as production for the eyes from the heavy snow blowing around the ski mountain. There's a spectrum of lens colors that work well in flat light. These lens colors are designed to create the greatest amount of contrast for the user while still providing a moderate amount of visible light transmission, or VLT. For example, the Chromopop Storm Lenses that come with some of the Smith I/OX options have 50% VLT. A true nighttime ski goggle will often be completely clear and have close to up to about 99% VLT. On the other hand, a goggle for really sunny days can have around 12% VLT -- sometimes even lower. There's always give and take when choosing a lens or goggle for overcast whiteout conditions. On one hand, you can go for a brighter lens (such as a pink or yellow) that will give you a bit of extra contrast and brightness. On the other hand, you can get one a bit darker (like a darker tinted rose) which give you a bit less VLT for when the sun comes back out. There are two technologies worth mentioning when it comes to increasing contrast: Chromopop and Prizm. These technologies were developed by Smith Optics and Oakley, respectively. Both companies are regarded very highly when it comes to eye-wear and lenses. Goggles with these kinds of technologies work by creating visual conditions where your eye has the ability to see a greater amount of detail. They do this by filtering out certain colors that work against our ability to see those fine details. They also bump up the helpful colors to exaggerate those details even more. If your ski resort has trails with trees or other features, consider doing those trails. The colors of the trees enhances contrast and can improve your depth-perception abilities. Consider moving to a lower elevation. Sometimes highly elevated trails have clouds and fog that you won't find on the less elevated ones. Use your other available body parts like your feet and poles to feel out the trail. It's not as great as seeing, but you can get a sense of things like snow-depth and incline. This one takes some getting used to, but is something that really high level skiers use all the time. They'll often refer to their poles as "cat whiskers." First, it's important to note that the Smith I/OX Goggles always come with two pairs of lenses. So don't be alarmed if you notice a pair of darker ones when you check it out. The Smith I/OX have a spherical lens for a wider range of peripheral vision. Spherical lenses are typically considered superior to their cylindrical lens counterparts. Designed with a 5x anti-fog coating and venting system, it does a good job keeping fog at bay when used correctly. Has the Porex Filter mechanism, which helps regulate optical distortion caused by air pressure changes in the lens chamber. Has interchangeable lenses, so you only need to own one pair of goggles. Compatible with certain shapes/sizes of eyeglasses. Triple-layered face foam with DriWix for comfort and reduction in moisture build-up. Chromopop technology for bringing out hard-to-see details in flat light. Might be too expensive for some people. Some users don't feel that the interchangeable lenses are easy enough to change. The Hi Pink Prizms are one of the lenses that's perfect for flat light. The color might look silly to some, but it beats not being able to see. Have a really wide field of vision, as the name implies -- like a pilot in a cockpit! Uses Prizm wavelength filtering technology. The pink tinted lens is excellent when you really need the extra contrast and brightness during flat light times. Not specifically marketed to fit over glasses, but big enough that some people do it anyway. Venting and F3 anti-fog coating to keep moisture build-up inside the goggles at bay. Triple-layer moisture-wicking foam helps reduce moisture and further prevent fog. Has built in comparability for prescription frames. Capability to change lenses if you own another set. Might not be affordable for some people. Only comes with one set of lenses. The Hi Pink lenses are great for flat light and low light, but might be too bright for some on a really sunny day. The Canopy Goggles are another really cool set of Oakleys. Although they are a different shape than the flight deck, you can also get the same Prizm colors. We picked the Prizm Rose lens because it blocks out a greater amount of light than the Hi Pink, but still provides solid contrast for cloudy overcast days. If you're a glasses wearer, these are built with extra notches inside the frame, making them an easier fit. Some glasses-wearers prefer these over the Oakley Flight Decks. Anti-fog coating, vented lenses, and dual-panes all work together to prevent fog from building up. Triple-layer, moisture-wicking foam also helps prevent fog and sweat build up. Spherical lenses for less glare and distortion and a greater field of vision than your typical cylindrical lenses. Has the ability to change lenses if you want to switch to a different color. Provides lesser light transmission than the Hi Pink, making them also good for sunny days. Arch on the nose can alleviate some discomfort from pinching. Only comes with one set of lenses. While the Outdoor Master PROs don't offer the same lens technology as some of the Smiths or Oakleys, just having the right tinted lens can help in flat light. Their light green lenses are 80% VLT, which is high enough for nighttime skiing, but many users have success with them in flat light as well. While these goggles don't share the big name endorsements as some of the others do, they're perfect for the recreational skier who isn't going to venture into extreme white-out conditions. The best part about these goggles is that they offer a really simple magnetic lens switching system. You can pick up a few different types of lenses to find which ones you prefer for flat light. It's also easy to keep a lower VLT darker pair handy if the clouds part and the sun comes out. These lenses are large and spherical for maximum peripheral vision. Tend to be more affordable than some of the bigger brand names. Huge variety of affordable back-up lenses to choose from. Fits glasses up to 5.30" wide and 1.65" tall. Strap is highly adjustable and fits a wide variety of head and helmet sizes. Anti-fog coating and well-designed venting systems. No ChromoPop or Prism technology. Another set of goggles to consider by Smith Optics are the Whiteout Snow Goggles. Just like the other pair on this list, you get a set of two interchangeable lenses, one with 13% VLT for sunny days and one for low/flat light at 69% VLT. Only need to own one pair of goggles since you get two interchangeable lenses. A great value for those who want to pack lightly. Uses ChromoPop technology to bring out features of the mountain and snow. Can usually be found cheaper than the I/OX goggles. Solid anti-fog system -- users report that they are extremely quick to defog. Cylindrical lenses can reduce peripheral visibility slightly. Can't change lenses on the fly -- no magnetic swapping system. White out or flat light conditions can be some of the most dangerous times on the slopes. 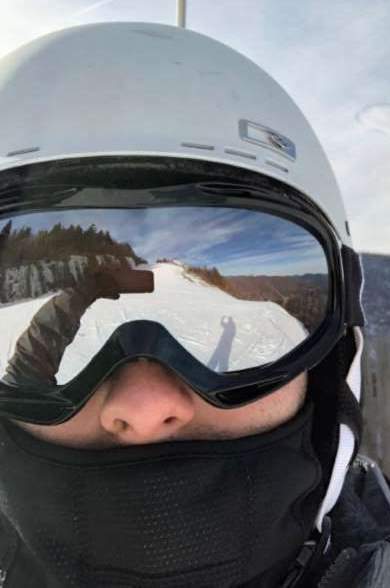 If you're going to venture up to extremely high elevations or ski in places with a lot of snowfall, it's important to not skimp on your goggles. While nothing is ever going to provide perfect visibility, it's important to have every edge possible.